Third set of results in! 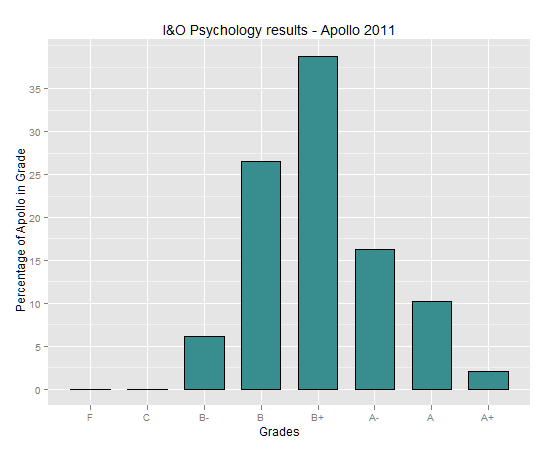 The results for the Industrial and Organisational Psychology paper are in! And we were again blessed to receive the grade distribution :) The A+ is back and the curve is much more like a Gaussian function than the previous results. Is that because it’s a paper (the first this year) or because the topic was more personal than the previous exam or it has nothing to do?